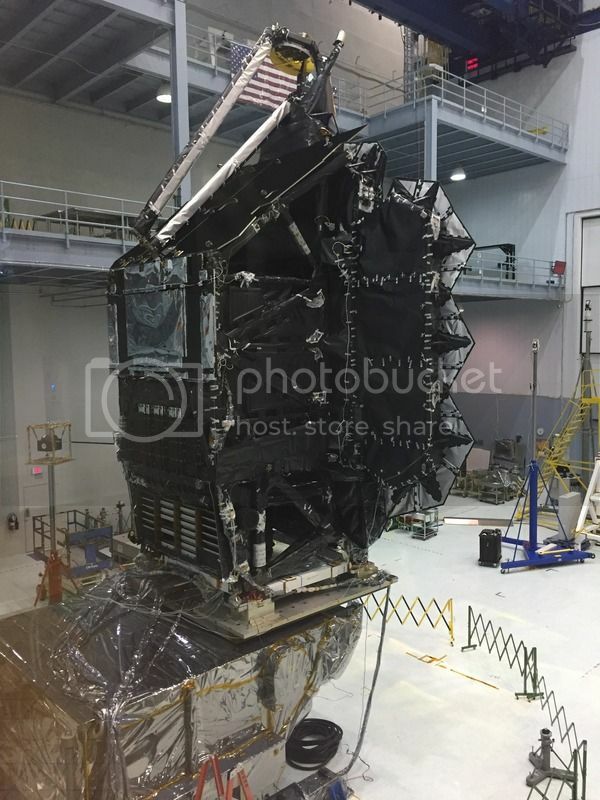 Took this picture today.... JWST at Goddard, with vibration and acoustic testing completed, prior to departing for JSC. Next up, thermal/vac testing at JSC's Chamber A, in which the Apollo CSM stack was tested. Nice job to get to see these items up close an personal. 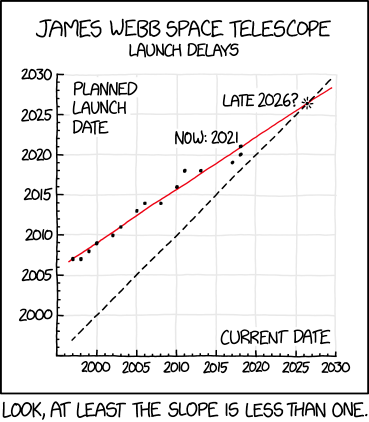 Here's hoping all the tests work out an JWST has no issues. Still looking for launch in 2019. And now the launch slips again. And the launch slips again. At the rate of accomplishments that may be more accurate. We shall see. I, for one, would prefer they do it all properly and not take things for granted or skip over any testing, and if that means delays, then so be it. We have all seen what could happen if they slip up, and for this one, they will get no second chances. There won't be any repair missions to Earth-Sun L2. NOTE: For anyone who doesn't understand what I'm talking about here, Google the phrase "Perkin Elmer Hubble Mirror"! !